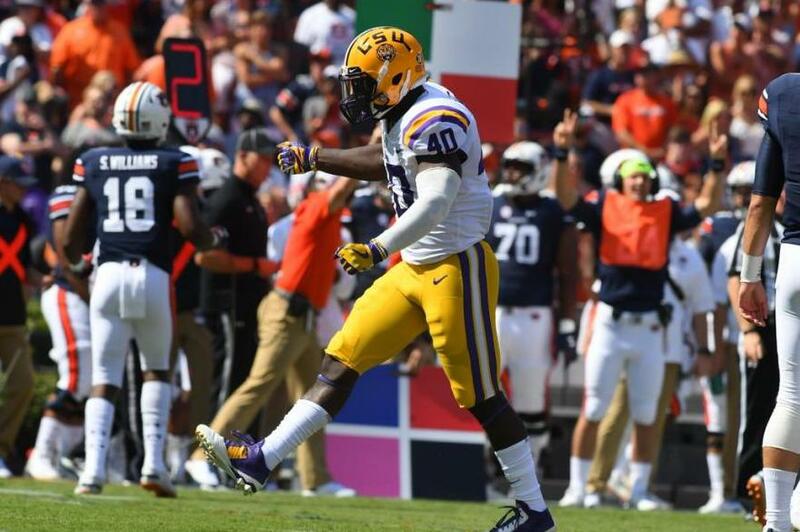 LSU linebacker Devin White will miss the first half of the upcoming game against No. 1 Alabama after he was called for targeting in Saturday's contest. White, who entered Saturday's tilt as the SEC's third-leading tackler, was flagged after he hit Mississippi State quarterback Nick Fitzgerald in the fourth quarter of LSU's 19-3 win. Per the NCAA, if a targeting foul "occurs during the second half or overtime of a game, the player is ejected for the remainder of the game and the first half of the next contest." "We probably won't have Devin for the first half, so we're going to have to make some adjustments there," Tigers head coach Ed Orgeron said. "It's gonna hurt our football team. But you know, hey, we gotta live with it. That's what it is, that's the rule, and that's what we gotta do, and we gotta get somebody ready." An LSU school administrator confirmed to Sports Illustrated that it cannot appeal the decision. White finished with 10 tackles and a pass breakup on Saturday for LSU, which will have a week off before challenging the Crimson Tide on Nov. 3. Sophomore Patrick Queen is listed as the backup to White, who has 77 tackles this season.